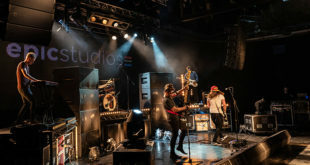 Solid State Logic has announced another major expansion to its live console range at this year’s Prolight + Sound show with the release of the SSL Live L200, which is immediately available. The new mid-scale console, which is being presented on the company’s stand F11 in hall 3.1, makes use of an inverted T chassis design, keeping all essential console controls within easy reach and bringing sprung arm mounted external screens/devices closer to the centre of the console. Arms can be mounted on either or both sides of the console, and they can also be specified as screen mounts or laptop/utility trays. External screens can be used to display the Console Overview screen, Automation screen, or other system devices. The L200 features a row of three 12-channel Fader Tiles, providing a total of 38 faders including the Master and Focus Faders in the Master Tile. A centrally-located 17in multi-gesture touchscreen gives access to all of the consoles’ functions, and combines with Quick Controls in the central Fader tile to provide immediate hands on hardware control. The Master Tile, located alongside the screen also provides Mute Group, Solo/Talkback, Assignable keys, and Automation controls. The console’s vital statistics include 144 processing paths all of which have full processing. 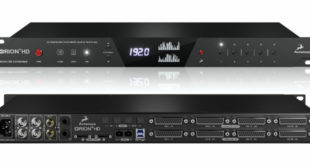 These paths can be configured as up to 96 input channels, up to 48 aux sends, up to 24 stem groups and 6 masters. A 4 x 32 input, 24 output matrix is provided in addition to this. 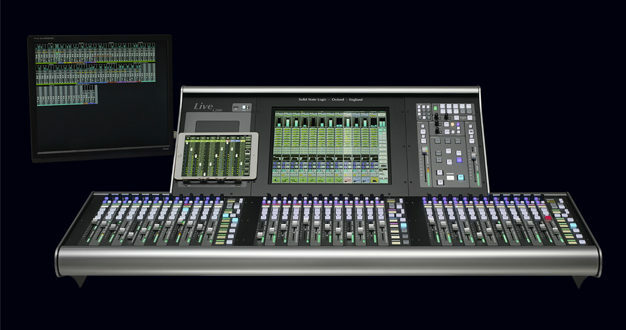 Like other SSL Live consoles, L200 has a flexible architecture that allows console configuration and surface layout to be easily configured to suit the demands of each production. 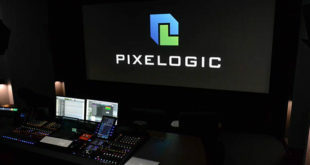 Onboard FX processing and FX offers the same processing options as the more powerful L300 and L500. 48 instances of FX processors are available at any one time on the L200. The new system also features showfile compatibility with L300 and L500 consoles. 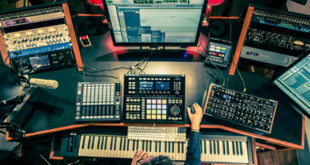 Showfiles written on any SSL Live console will load directly onto another console in the Live range (within system limitations), while SSL’s SOLSA PC app can be used for online control and offline editing.